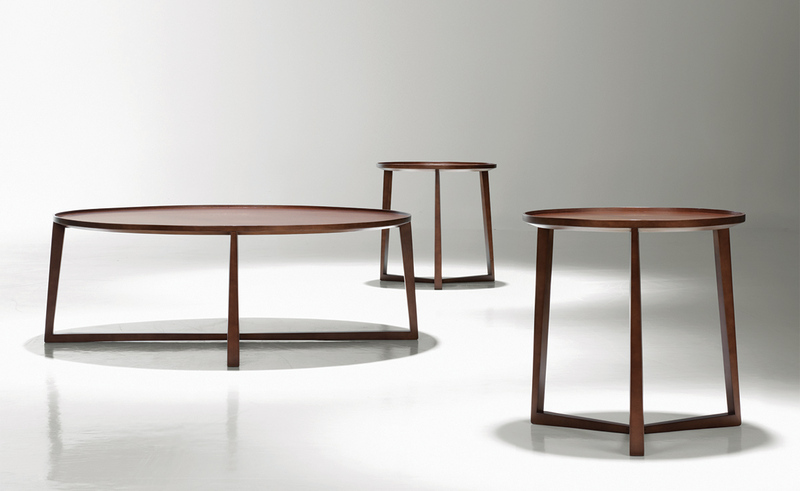 An artful table with different personalities depending on how it's viewed, Curio adeptly balances thinness with mass and straight lines with curved forms. 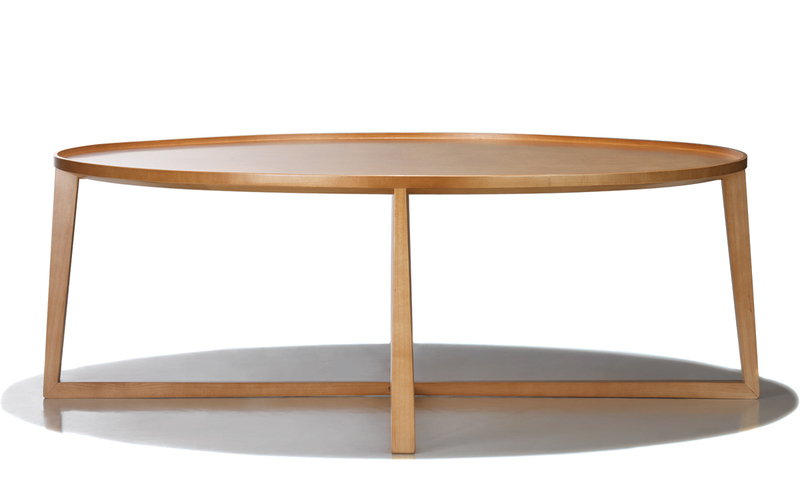 The beveled tabletop and sculpted lip, reminiscent of a classic tray table, and the three dimensional tapered legs that become narrow and wide simultaneously combine as a functional table that is a delight from any angle. 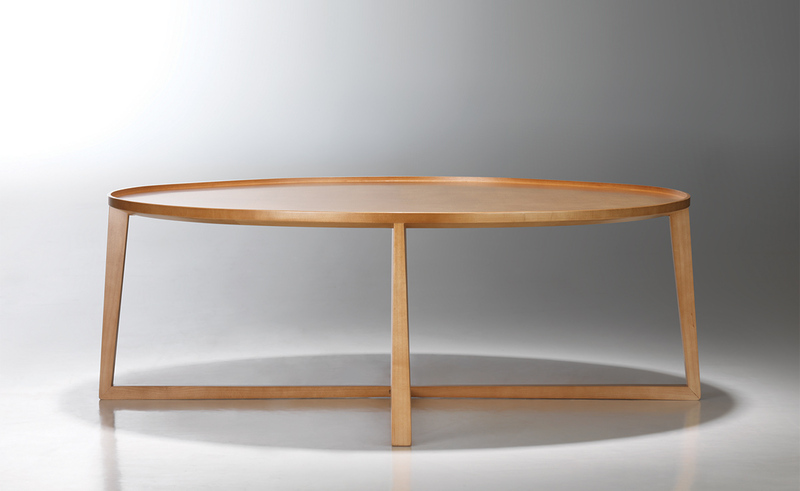 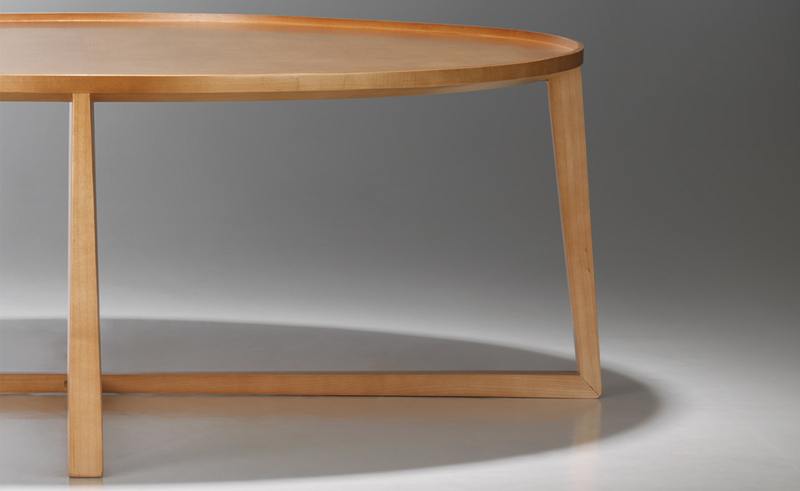 Curio coffee table features solid & veneer maple wood. 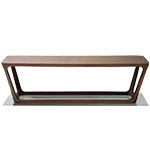 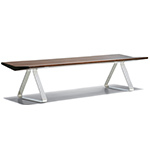 It is offered in your choice of finish in either side or coffee table size. 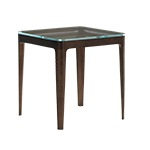 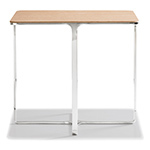 The Curio tables can also be specified with an optional .5" thick Starfire glass insert. 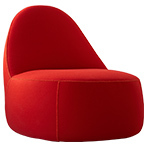 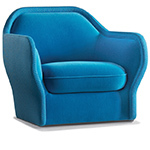 $1,239.00 + free shipping in the continental U.S.